Phillip “Coach” Scott, 67, of Springfield, OH, went home to be with his Lord on Friday, November 23, 2018, at Mission Hospital in Asheville, NC. Born June 6, 1951 in Dayton, OH, he was the son of the late “Duffy” and Darlene (Patrick) Scott. Phil was an active member of Crestview Baptist Church in Clayton, Ohio. In addition to his parents, he is preceded in death by his brother, Steve Scott. Phil will be remembered for his humor, generous spirit, and selfless love for all those he encountered. He truly never knew a stranger and his family often joked that he’d not only give you the shirt off his back, he’d give you the shoes as well (and often did!). He lived his life for Jesus, his family, track, and bicycles. Most of all, Phil left his earthly home with a desire for every life he touched to know and commit their lives to his loving Lord and Savior. Phil was a 1969 graduate of Beavercreek High School where he participated in track, cross country, football, and wrestling. He attended Santa Barbara City College, and received his B.S. in Health and Physical Education from the University of Cincinnati. He was an elite athlete, winning numerous accolades to include the AAU Junior National Decathlon Championship, and competing in the Olympic Trials for both Track and Field and Cycling. 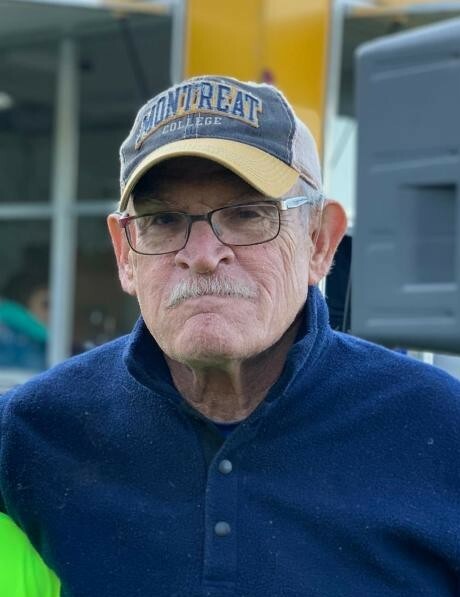 For over 40 years he worked as a track and field coach at both the high school and collegiate level, not to mention his countless hours of personal coaching of athletes across the country. He coached at Dayton Christian Junior and High School, Cedarville University, as well as serving as an honorary coach at Hannibal LaGrange University in Hannibal, MO, and Montreat College in Black Mountain, NC. He also loved restoring antique bicycles and was known around the world for his wealth of knowledge on the subject. Phil was a member of “The Wheelmen”, an antique bicycle community for many years. In addition to track and bicycles, Phil was an avid researcher and historian who loved to share his expertise on the Wright Brothers, Major Taylor, and Earl Keiser. In recent years, he enjoyed collecting and repairing antique guns. Phil is survived by many family and friends who will greatly miss his energetic presence in their lives, not to mention all his corny jokes and cheek pinches. He was the doting husband of 41 years to Debra J. Scott who freely admits he completely spoiled her. His daughter, Angela (Scott) Franz and her husband, Matt, say that he fiercely loved his family and was always present and available at any moment of the day or night. His son, Jason Scott, and his wife Bethany (Davies), enjoyed his frequent visits to their home to love on their family and help coach at numerous track meets. He will be especially missed by his grandsons Noah and Evan Franz, and Kade and Kruz Scott who had their grandpa wrapped around their little fingers. It was clear that his world revolved around those boys and he spoiled them like no other. The family will receive friends from 4:00-8:00pm on December 7th at Crestview Baptist Church, 6600 Salem Ave, Clayton, Ohio. A Celebration of Life service will be held at 1:00pm on December 8th at the church, and all are welcome to stay after for a time of fellowship.